Makers of Elegant Custom-Designed Metal Gifts. Elegant Ornament, Magnet, Lapel Pin, and Unique Wedding Favors, Marbex is your source for gift giving any time of year and for any occasion. For over twenty years the Marbex has been synonymous fine gift-giving and packaging unsurpassed in elegance and quality. 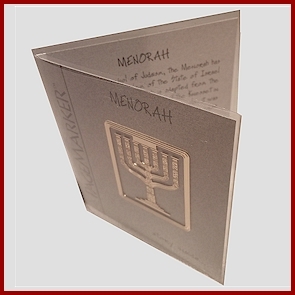 Providing the perfect message to your loved ones- literally- the high quality Marbex etched metal products are packaged and personalized with any message you wish to convey. For its cost, a custom-made, elegantly packaged gift from Marbex is also an incredible value. 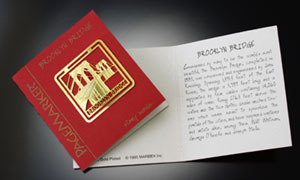 Your etching is sure to capture your recipients’ attention for years for any number of occasions. 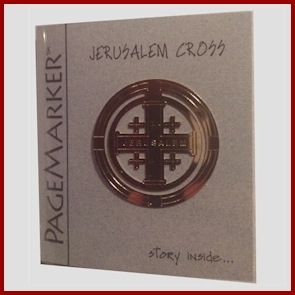 Whether you are considering pins for capital campaigns, presidential inaugurals or building dedications, greeting cards for holiday gifts or fundraisers, bookmarks for trade shows, libraries or alumni gifts, or just for general “thank you’s” for any reason, Marbex offers the perfect option. They are beautiful enough to be used as a place-setting favor, and light enough to be mailed in a #10 envelope with a one-page letter without additional postage! Our philosophy is simple: We create beautiful custom gifts that we would want to buy. So remember Marbex for the elegant recognition gift you can afford to give with pride. Please take a tour of our website and call us to receive free samples without obligation.